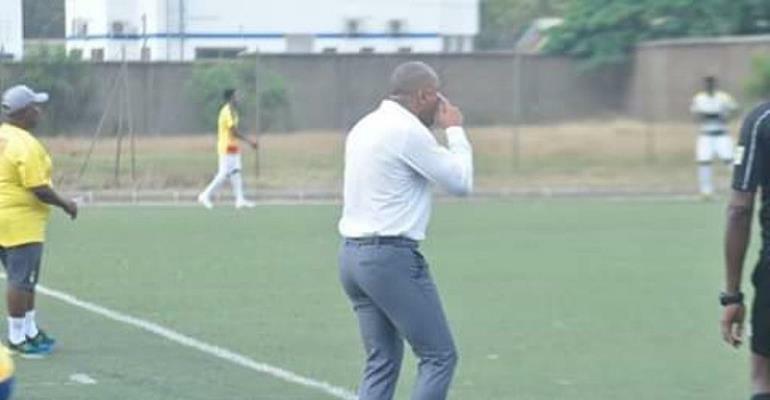 Head Coach for Accra Hearts of Oak, Kim Grant is hoping his side makes a top 2 finish at the end of the preliminary round of the Ghana Football Association (GFA) Normalization Committee (NC) Special Competition. After playing 5 matches in the competition, the Phobians have managed to record 3 victories whiles losing 2 in the process. Though they have been solid and impressive at home, their away form has been their bane as all two defeats have come on the road. Speaking to the media at the post-match conference following their 1-0 win over Liberty Professionals yesterday, Kim Grant stressed that he is proud of his players and is going to ensure they keep working hard in order to finish this phase of the competition as one of the best 2 teams from their division. “We are going to keep playing the same way we played in the last two away games against Elmina Sharks and Karela. Nothing has changed. We just didn’t have the luck in front of goal and I told them you have to continue working hard. They have done that and they have got the win today so am really pleased. We have got 9 points now and we see what the other results go and hopefully we will be in the top 2”, he said. The former Black Stars player further heaped praises on his charges citing that he is very happy with their input against their Regional rivals at the Dansoman Carl Reindorf Park. “I thought we did very well and am pleased that we won the game. Liberty came in with a good form and we came in with a great win on Wednesday and we have come here and we have shown that we are resolute and as a team that plays as a unit”. “We scored a very good goal. We could have scored another two or three but it wasn’t meant to be. Am very pleased and am proud of the boys because they worked really hard for the win”, Kim indicated.